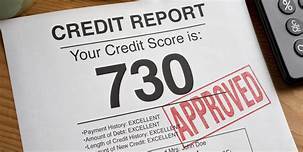 Any creditor, debt collector or debt buyer that fails to comply with the Fair Credit Reporting Act (“FCRA”) is liable for any actual damages as well as statutory damages. Knowing noncompliance can lead to punitive damages. This spring, Experian was hit with a $3 million judgment. How do you know or how can you prove that a violation was made knowingly or willfully? You don’t actually have to prove the entity actually knew that it violated your rights. That may well be impossible to do. Fortunately, it is sufficient to prove that the entity was acting recklessly – that it knew or should have known that it was running afoul of the FCRA. There is a statute of limitations for FCRA actions. You must bring the case within two years from the date you discover the violation or five years from the date when the violation occurred. There is a penalty for filing a FCRA action in bad faith or for purposes of harassment – you have to pay the attorney’s fee for the other side. Therefore, it is important to seek legal counsel to properly evaluate whether you have a valid claim before proceeding. The claim should also be ripe, in other words, a proper dispute was filed in order to pursue the claim. For more information about the FCRA and to pursue a claim, please schedule a free consultation with Christie D. Arkovich, P.A.